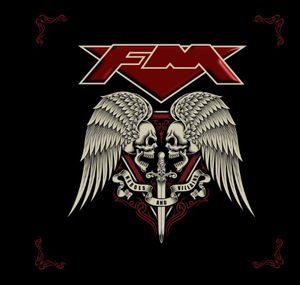 Arguably the UK’s finest purveyors of Melodic Rock music, FM will release their new studio album Heroes & Villains on April 17th in Europe and April 21st in North America. Heroes & Villains is FM’s first album release since signing to Frontiers Music Srl, and follows the band’s 2014 E.P. Futurama and sell-out UK arena tour with FOREIGNER and EUROPE. FM’s UK tour kicks-off at in Bristol on Friday, 1st May, and includes dates in Wolverhampton, Portsmouth, Nottingham, Glasgow, Newcastle and Manchester, with the final night of the tour taking place at London’s O2 Shepherds Bush Empire on Sunday, 10th May and will be anticipated by the band’s performance at the Frontiers Rock Festival in Trezzo sull’Adda (Milan) Italy on April 11th. The fourth album since FM reformed in 2007, Heroes & Villains sees FM staying true to their musical legacy, offering their classic sound updated, with great songwriting and performances spiced-up by the golden voice of lead vocalist Steve Overland. Self-produced, the recording session took place at Tremolo Studios, before being mixed and mastered at Abbey Road Studios.